Why Do We Take the Time To Pre-Cut and Individually Roll Each Piece of Insulation? At CMI Insulation, our motto is “Always imagining we’re the customer.” Everything we do is based on imagining we are the customer so we can provide the best products and service. This is one reason why CMI is the only place to buy insulation systems for your metal buildings and pole barns. Other companies that don’t offer these services make you go the route of field cutting. This process requires an installation team to cut your product on site. Field cutting increases installation labor time and costs, and it’s also wasteful and messier. When your insulation rolls aren’t pre-cut and individually wrapped, your installation process ends up taking more time and costing you more money. The installation team has to cut each roll to make it fit for you on the spot before they begin installing, requiring them to do more work that then forces you to pay them more. An additional reason we pre-cut and individually roll our insulation for our customers is so you don’t have to deal with a messier situation than necessary. Most construction sites are a dirty, muddy mess, which means your new white facing will become dull and unappealing when it has to be cut on site. You also don’t have to deal with all the leftover waste of the unused insulation with us. At CMI Insulation, we provide the best service and products to save you time and money, which is why we take the time to pre-cut and individually roll each piece of insulation for each customer. Why Do We Use Johns Manville Formaldehyde Free Insulation? Formaldehyde is a colorless gas that has a very distinct smell. It’s most likely used in several products in your house, such as cabinets and furniture. When used with these products, it’s given off as a gas that mixes with the air. This means you’re exposed to it when you breathe and some absorption also happens through your skin. There are health concerns associated with formaldehyde exposure. Depending on sensitivity and the amount of exposure, people have experienced symptoms like skin irritation, sore throat, nosebleeds and asthma. It can also cause air quality issues like air pollution. Because of these concerns, CMI uses formaldehyde free insulation for metal buildings and pole barns. We use Johns Manville because it supports a safer, healthier environment indoors and outdoors, which is what we want for our customers. Another way formaldehyde free insulation makes your homes and buildings better places to be in is being odor free. This way you and your family can breathe in and smell the difference. CMI also uses Johns Manville formaldehyde free insulation because it’s better to work with. If formaldehyde is used, microscopic strands of fiberglass become stiff and brittle, and as the fibers move or bend they shatter, which sends those tiny glass fibers into the air causing you to have skin and respiratory sensitivity. So because we don’t use formaldehyde, there’s flexibility in our insulation fibers and you don’t have to deal with the frustration of sneezing from dust or having itchy, irritated skin. While other insulation companies use formaldehyde to make their blanket insulation, CMI chooses not to. We like working with materials that are good for our customers and us, and that’s why we use Johns Manville formaldehyde free insulation. Will Fiberglass Insulation Lose R-value When It’s Compressed During Installation? Fiberglass insulation, when properly installed, doesn’t move or settle so it maintains its R-value and does so for a long time. But when fiberglass insulation is compressed during installation, it loses its R-value. R-value is important because it’s what insulation is identified and labeled by. If you have a 2×4 wall, then you buy insulation that’s listed for a 2×4 wall. If you buy insulation that’s listed for a 2×6 wall, then you’d have to cram it into your 2×4 wall. This may not seem like a big problem, but it is. Fiberglass insulation needs some airflow in order to work correctly. Tiny air pockets inside the insulation basically trap air between the fibers and are what make the fiberglass insulation R-value effective. Compressing fiberglass insulation is counterproductive. It means you’re squeezing all the air out of it, and it needs that air in order to work how it’s made to work. Something else you have to watch out for are gaps and holes. If there are any gaps or holes due to compression, then it’ll lose R-value. Let’s say you have a 5 percent insulation gap. That doesn’t seem so bad, right? Well actually it is because it means you can have up to a 25 percent drop in your R-value. Here are the main issues with buying fiberglass insulation and then compressing it: you’re going to be paying more money and putting in more work but not receiving a greater benefit, and if you compress it too tightly then you can damage the area you’re using it for. None of which you want to deal with. installation and post-installation, you need to buy the correct size, make sure there are no gaps or holes and under no circumstances compress the fiberglass insulation. Do these things and you’ll receive the benefits guaranteed by your fiberglass insulation and its R-value. What Is The Cheapest Way To Insulate A Pole Barn? Insulation is all about regulating the temperature inside the pole barn. To know what type of insulation you will need, you have to look at your location and what the purpose of your barn is. If you are in the lower half of the United States, you might be more concerned with keeping heat and moisture out so that equipment won’t rust. In the upper States, the goal will be to keep heat in so that equipment and people can use the barn. There are various ways to insulate your pole barn. Many people will consider fiberglass insulation since it’s already being used quite often. This insulation is a man-made and is easy and quick to install. It is easy to cut, but making any adjustments with cuts or compressing will make it less effective and provide little resistance to the airflow. Fiberglass can cost up to $1 per square foot depending on the R-value and the thermal resistance one is looking for. Another option is to use spray foam insulation. The cost of this insulation is much higher than traditional insulation. The installation of spray foam is also more expensive than other insulators because of the chemicals involved as well as the problems associated with a poor installation (which can bring the entire barn down. While the cost of spray foam insulation will vary, it can cost up to $2 per square foot, one inch thick. Foil insulation or reflective insulation is another type of insulation that is cost-effective. The goal of this insulation is as the name says to reflect the heat away. The aluminum foil is usually attached to some material or there will be two layers of foil with foam or plastic bubbles in the middle. This insulation will reduce heat flow. This type of insulation is great in the summer, but in extreme cold conditions needs to be paired with other insulation. The choice of insulation is dependent on your locale and the weather conditions that will exist. Make sure to obtain quotes from local vendors and compare insulations to find the best deal for what you need. What Are The Differences Between Metal Buildings & Pole Barns? You need a structure ASAP and you’ve done the research and are now debating between a metal building or a pole barn. Which do you choose? Does it really make a difference? A pole barn is made with wooden poles that are set into holes in the ground and then connected with beams and braces. Once those are secure, a roof is added. Pole barns are easy do-it-yourself projects that are fairly inexpensive. Metal buildings, unlike pole barns, require a concrete foundation to anchor the entire structure. Once the foundation is laid, the frame of the structure can be built then adding on the wall sheeting and the roof. Metal is more expensive than the lumber to build a pole barn. Renting equipment to lay the concrete foundation and to build the structure also raises the price of the metal building. Because metal buildings are made from steel, they don’t run the risk of becoming infested with termites and are less of a fire hazard than a wood pole barn, though it should be noted that any fire would warp the steel. The metal barn is also more durable in inclement weather because of the steel is stronger than wood. While pole barns may not look sturdy, if constructed correctly and repaired when needed, can withstand the harsh weather conditions. Pole barns usually have trusses near the roof, which can be useful for hanging objects, and keep them off the floor. The truss clips also will reduce the chance that a high wind will take the roof off the building. The bigger the building, the more likely one would lean towards using steel. A larger building is easier to build out of steel because you can bolt the small pieces together securely. Pole barns require lumber that is precisely measure for the specific dimensions. Both types of buildings will require insulation depending on the locale and weather conditions. Because of size differences, your insulation cost for a metal building will be more than the insulation for a pole barn. While the materials and the structures may be different, both types of buildings are proven to be durable even in harsh weather conditions. If you’re looking for a sturdy structure to house your latest lawn mower model or park your snowmobile during the off-season, or just have a workshop to get some projects done, looking no further than building a pole barn. Pole barns are durable, inexpensive, and easy enough that you can do an online search to find step-by-step directions on how to build it yourself. The first thing to consider before purchasing materials is to get proper zoning permits and permissions. The barn is a new structure and local government will have some regulations and some payment for those permits. Many people will find a company that will build the pole barn for them. With add-ons such as skylights, windows, and doors, the total cost could come out to be around $30,000. You can choose to build it yourself. The cost of materials will vary depending on your locale. Other things taken into consideration is how large the barn will be and what materials you want to use. For a 1,600 square foot structure with a 12’ wall height, the cost of materials will be around $8000. To including insulation for the pole barn will add an additional $1500, the price will be around $9500. Each building is unique with the different materials and dimensions, so quotes will vary as well. There are a few ways to save on money for materials such as reusing old telephone poles or trusses from old buildings. Keeping eyes out for windows, doors and other items that you can purchase through auctions or perhaps through local classifieds can save you some money on materials. Equipment is also a necessity—consider borrowing or renting to keep costs low. Labor can be the most expensive part of building the barn. For those who may be amateurs at building a barn, it might be beneficial to find a well-trained crew to put together the structure. This option will also be more expensive. Recruiting neighbors or friends with experience may require more weekends and afternoons to complete the project, but will save the expense of paying a construction crew. Whether you choose to build a pole barn yourself or use a crew, get quotes and compare pricing for your area and for your materials to get you the best pricing. Metal buildings are built to withstand and to last a very long time. Therefore, your insulation material should have the same durability in order to perform and last as long as the building should. The correct insulation package on a metal building is vital to the overall comfort of the building and the long term performance of the installation. Contracting the right insulation provider should be a top priority for every commercial builder in California. Especially considering that now the busy season for building outside of California has slowed and the building season in California is still going strong. Our management team has always been concerned with keeping business simple rather than creating big business. CMI Insulation has kept it all in the family. By doing this we have been able to make decisions in the best interests of the client even when it appeared to hurt our temporary profits and revenues. In order to provide a better product than the next guy, we have committed to using only the highest quality components in every insulation package. We exclusively use Johns Manville fiberglass which is NAIMA 202.96 certified. Beware of fiberglass manufacturers who can’t pass this strict certification requirement! By holding ourselves to a higher standard we can ensure that your building will stand the test of time as well as the test of the seasons. Our first and foremost concern has been and always will be providing quality products and services for our clients and customers in order to build a strong, loyal pool of business for many years to come. That means we will not cut corners on any project we undertake. Rather than focusing on the bottom line like other incorporated companies we care more about our clients. Our sales and production staff has many years of combined experience helping builders construct quality metal buildings with premium products and craftsmanship. We know what it takes to make your insulation installation go smoothly and successfully. We have a long and honorable history of providing exemplary services and products in the beautiful state of California and we invite you to put it to the test and call us today. We will show just how well we can help you in your California building endeavors. The state of California is at the top when it comes to manufacturing. 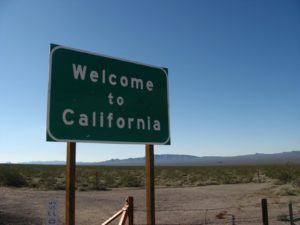 In 2011, California manufactured over $220 billion worth of products and goods, which placed them in the leading spot for manufacturing. This being said, it’s no wonder commercial construction in California is booming. That means that builders are busy and need to work with experienced and professional contractors to get the job done right and on time. How is it that commercial construction is booming in California? Investors are spending money on new ventures and companies. These businesses are churning out the many products the nation’s population uses every day as well as the many products exported across the world. Because of the demand for the California products and goods, new commercial construction continues on through winter—long past when it slows in Utah. CMI Insulation has that experience and professionalism. Our staff is conscientious of what California builders need and want in a good insulation supplier. Protect Against Condensation – If moisture lodges in the insulation of your building, the heat transfer coefficient of your building can increase dramatically. We have the knowledge and experience needed to properly install insulation in the building envelope in order to reduce condensation. Free of Formaldehyde – There is significant evidence supporting the thought that formaldehyde is a volatile carcinogen. Not only that, but it causes other health hazards like fiberglass dust and microscopic slivers. We at CMI prefer to protect our employees and customers and work only with formaldehyde-free insulation. Save Money – There is nothing more costly than paying to fix a mistake when it comes to new construction. Costs can vary from only minor additional costs to extremely expensive overhauls. Don’t risk making mistakes on the installation of your insulation and use our team of experts to help you do it right the first time. Because of federal government incentives and rebates, building with energy efficient methods and materials has never been as inexpensive as it is today. CMI will help you get the rebates you need to make insulating your building in California cost effective. If you are interested in purchasing insulation for your metal building, click here to contact us today. The Commercial Energy Conservation Guide for commercial property shows how to save money by cutting energy use. CMI Insulation, the leading provider of insulation for pre-engineered metal buildings, today announced the release of “The Commercial Energy Conservation Guide.” The guide gives innovative ways to help building owners cut their operating expenses using proven methods that have fast payback times. CMI Insulation notes that annual energy costs for US commercial and industrial facilities is over $2 billion. There is opportunity to cut back on those costs, especially since 30% of energy in buildings is used inefficiently or unnecessarily. Improving energy efficiency by just 10% could save $20 billion. By implementing a plan, facility owners to save significantly on their energy bill and lessen their impact on the environment. Making changes suggested in the guide will significantly lower costs during the more expensive winter months when heating bills are higher. Using tax breaks combined with the savings, insulating can pay for itself in only a few short years. In addition, the building will stay more comfortable all year round — warmer in the winter months and cooler in the summer. What is a Retro Fit Insulation System and When Would You Need to Consider It? Adding insulation to your steel building can seem daunting at first. The costs are overshadowed by worry over the process and benefits. If the labor behind installation is a concern, CMI’s Retro-Fit insulation system can put your mind at rest. This system is one of the simplest on the market. Unlike many other installation systems, a crew of workers is not required. Only one person is required to do the installation. The creation and process of the CMI Retro-Fit system is fairly straightforward. Our formaldehyde free fiberglass is laminated with a heavy-duty, smooth facing. It is then rolled up. When the insulation is rolled out between the purlins, one person has to simply use CMI’s purlin clips to securely fasten the insulation into place. Thus, a team of workers (and the payment for their labor) is not required, simplifying the process. But the type of insulation to use is not the only decision to make. Choosing the correct R-Value for your insulation is important as well. The R-Value is a measurement of a material’s ability to resist heat. Therefore, the higher the R-Value, the greater the efficiency of the insulation. A high R-Value is especially important in places with extreme weather changes, in locations with incredibly cold winters to supremely hot summers. Insulation with a higher R-Value will be more effective. But thermal efficiency isn’t the only advantage to insulating your metal building. Your building’s appearance can be made over as well. The insulation used at CMI, when installed, makes any building more aesthetically pleasing. CMI laminates all of its insulation with heavy duty, pristine white laminate. Pure white laminate lining your ceiling and walls provides a clean, new, bright finish, lightening up your entire building and completely making over its appearance. Lastly, insulation improves acoustics. When a sound hits solid surface, it can cause vibrations on the surface, transmitting that sound to the other side. As a result, outside noise can be easily transmitted through the ceilings and walls of your building. This, of course, does not include noise than can be transmitted internally, from one room to another. If insulation is installed, however, the sounds can no longer cause the surface to vibrate as easily, as the insulation acts like a sponge, absorbing the sound waves.